Prominent & Leading Manufacturer and Exporter from Jaipur, we offer Granite Stones such as Black Galaxy Granite Stone, Black Pearl Granite Stone, Copper Polished Granite Stone, Green Granite Stone, Grey Granite Stone, Ocean Granite Stone and many more items. We have marked a distinct and dynamic position in the market by providing a high quality array of Black Galaxy Granite Stone. 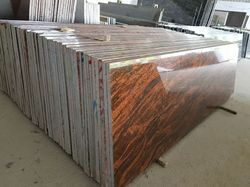 Available in customized designs and thickness as per the specifications of customers, the offered granite stones are processed from the advance techniques & machines for giving finishing. We are giving these granite stones to our customers at reasonable price.